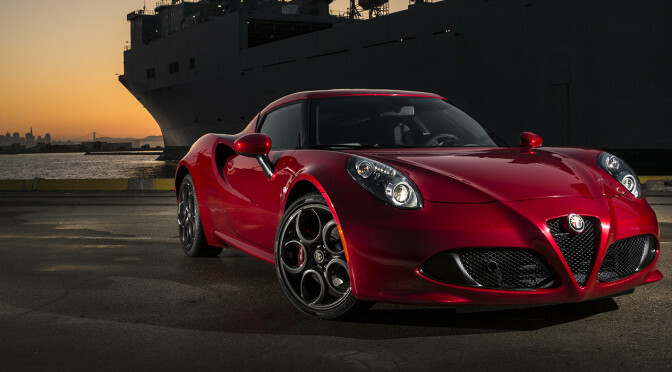 Alfa Romeo’s return to the United States has been very interesting to say the least, as they’ve made more splashes with the cars that aren’t in the showroom yet as opposed to the 4C’s current availability on the market. That will all change in 2017 with the arrival of Alfa’s first four door sedan the Giulia, and the Stelvio, which will compete in the crossover market. The Italian automaker’s re-entry into the US automotive world will be faced with many challenges as the Germans have dominated the luxury market for quite a while with absolutely no signs of being superseded. Alfa Romeo dealerships across the county face an uphill battle, but if they’re willing to use digital media for their social media accounts, they can help promote the brand on the local level. If you’ve been a follower of mine for a while, you know that I’m a big supporter of social media marketing for dealerships. There is no better brand to use as an example than Alfa Romeo since their role in the automotive industry is similar to a tech startup, as they’re not well-known outside the car enthusiast community and will need every bit of promotion they can get. Social media can help face these challenges for Alfa dealerships, but if there’s no desire to create eye catching content, along with the commitment and involvement that it will take to compete with BMW, Audi, or Mercedes Benz, then Alfa Romeo’s return will fall short. Digital media that includes pictures, videos, walk arounds, and reviews, culminating with social media ad campaigns is vital to raising awareness for the brand. Instead of looking back on Alfa Romeo’s past, dealerships must focus on the present and future as the Giulia and Stelvio are two very exciting models that have the potential of becoming popular with many car buyers. While corporate promotes the Giulia Quadrifoglio, dealerships should start creating content around the base and Ti trim levels, as they’ll be more affordable and in the same price range as the BMW 3 Series and Audi A4. There’s no denying that the Quadrifoglio is already popular with car enthusiasts as it’s faster than a BMW M3. However, for the brand to be a success the average car buyer needs to be persuaded to stop looking at German cars and seriously consider a Giulia or Stelvio. That’s where social media marketing comes into play. Facebook, Instagram, and YouTube must be at the center of your marketing strategy as the viral nature of social media platforms will be beneficial in spreading the word that average Americans can purchase an Italian car for the same price as a BMW. Dealerships must be proactive in their efforts to promote and sell all new models. Audi and BMW dealers can make the argument that the average consumer knows the brand well, but for Alfa Romeo sales representatives, they don’t have that luxury. Spreading awareness by being fully engaged with social media platforms, while also posting consistently can mitigate the obstacles that stand in Alfa Romeo’s way. 2017 is going to be an exciting year for the automotive industry, and Alfa Romeo is going to be at the center of it. Start using social media now, even before the base and Ti models of the Giulia hit the showroom. I’ve seen Quadrifoglio’s available at dealerships already, and by using its arrival as the stepping stone to promoting not only your dealership, but the Alfa Romeo brand, your dealer will get a head start on all the other showrooms opening up throughout the county. Social Media Matters: Twitter Incorporating an Analytics Page? Social Media: Killing Friendships, Or Building Stronger Bonds?